When Leilani Hale’s morning workout is interrupted by an attempted burglary, it’s going to take all of her faith and a few Christmas miracles to get her life back on track. Inspired by the Little Mermaid. Rachel Andersen was born in Utah to parents who instilled in her a love of reading, learning, and language. Since then, she has lived in all four time zones in the continental United States. By day, she is an elementary school teacher. By night, she writes contemporary sweet romances. She loves being able to revisit her favorite home and memories by writing them into her books. 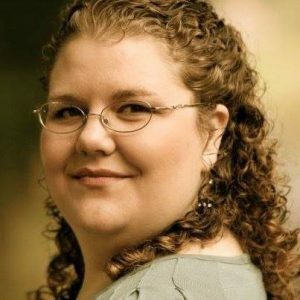 In 2017, Rachel started a Facebook group for writers called The Just Write Cafe. The Just Write Cafe was inspired by her dream of a restaurant where writers and other artists can come together to create beautiful art all while being nourished by good food and even better company. Rachel Andersen loves to write, and she enjoys putting the wonder of possibility in her students’ eyes when she tells them that she’s an author. Threads of family and faith are woven as deeply into her stories as they are into her personal life. She’s an impassioned advocate of self-compassion and empathy. 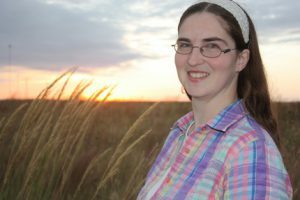 She tends to write clean romances and story retellings set in her beloved, adopted “hometowns” of Kansas City, Missouri and Western Washington. Cindy Ashby thinks her life is as good as it’s going to get until a handsome stranger comes and turns her world upside down. Inspired by Cinderella .